These days if you read the papers or watch TV or Internet news it may take you a while to find a positive story or one that looks like it may have a happy ending. This is particularly true with regard to the state of the planet that we all inhabit. So it is indeed encouraging to find that there is a lot of cautious good news about the preservation of the Siberian or Amur tiger population. The panthera tigrisis found only in the Russian Far East, China and Korea. The species came very close to extinction in the 1940s with the number of animals down to 40. Since WWII tiger numbers have been on the increase, and there are now an estimated 450-500 animals roaming the wild north of Russia, China and Korea. International organizations like the World Wildlife Fund (WWF) and the Wildlife Conservation Society (WCS) are working to support efforts to save the Siberian tiger. One such effort is the Sikhote-Alin Biosphere by WCS and the adopt-a-tiger program by the WWF. Other efforts include stiff penalties for poaching, banning logging, and converting hunters and poachers into forest rangers. 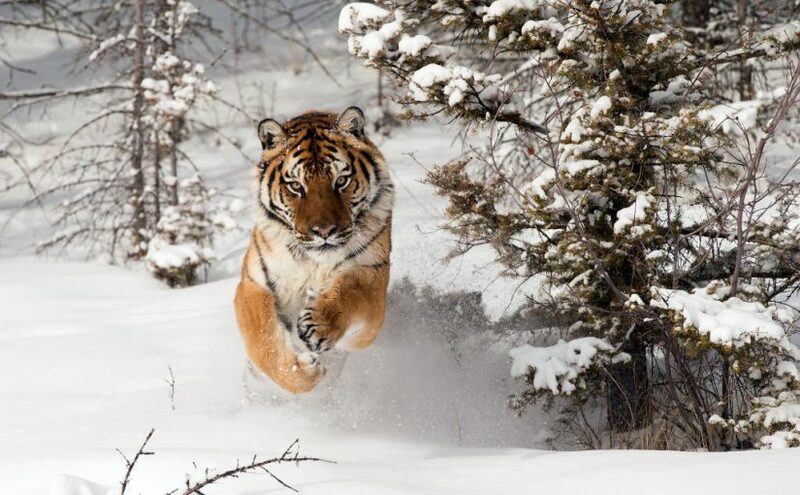 Not only in Russia, but also in China tiger preservation has become a priority. In 2013 President Xi Jinping announced the plan to develop a national park system. The system will be rolled out in 2020. A major piece of this plan is a 15,000 km2 park in the Jilin-Heilongjiang region that will be 60% larger than the US Yellowstone Park and will be home to the Siberian tiger. Much has to be done in the areas slated to become national parks including relocating some residents, finding work for them and putting an end to logging. While all is not perfect, the Siberian tiger is receiving needed attention from government, the scientific community, and NGOs. In the foreseeable future, Siberian tiger populations may reach to several hundred of these magnificent animals. If you are interested in helping in this program you can contact the organizations listed below. Asian Waters—China’s Huai River, A Work in Progress. Xi-Park Meeting-What Will Come of It? U.S. Defense Chief Points Finger At China, Russia. 前 前の投稿: Iran Oil Exports–VS–New American Sanctions.